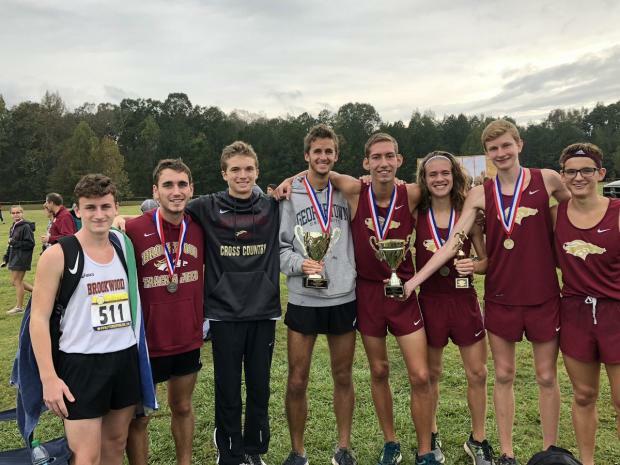 Boys: At the 7A Area 4 Championship, Brookwood hung on to win the boys team title. It wasn't easy though, as Norcross pushed the Broncs' to the wire only 5 points back. 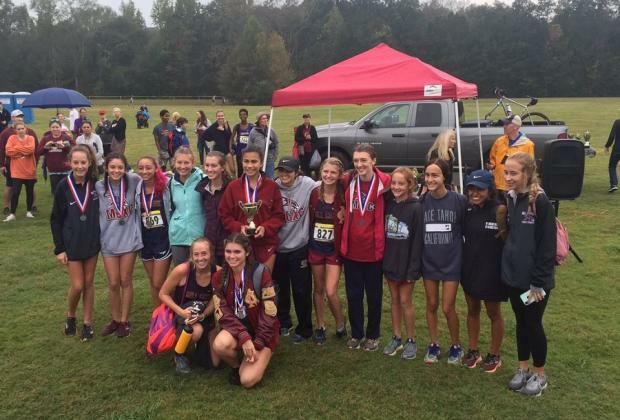 Brookwood had 3 finishers in the top 7 making the difference led by Will Bray in 3rd going 16:34. 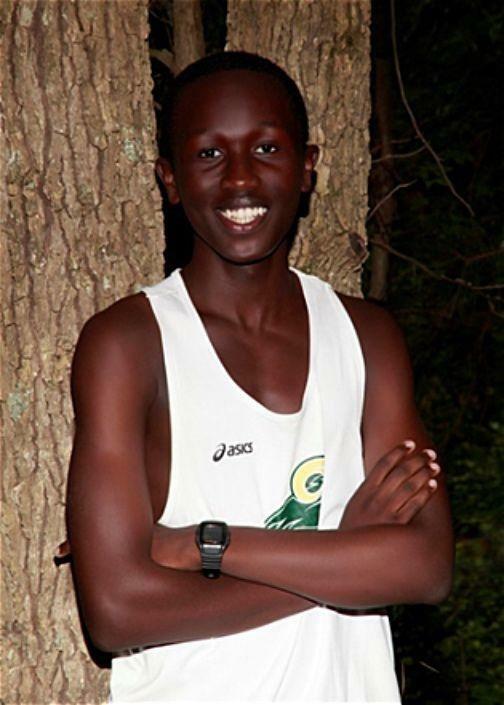 Mohammed Mursal led the Blue Devils placing 8th overall in 17:05 with Gabriel Schlicht a stride back at 17:06 for 9th. Chase Condra of Peachtree Ridge ran away from the field for the Overall win at 15:56 and will be the only Lion to Q' for State. Teams Qualifying for State: Grayson, Archer, Shiloh, Lowndes, Camden and Colquitt. Teams Qualifying for State: Archer, Tift County, Camden, Shiloh, Grayson and Lowndes. 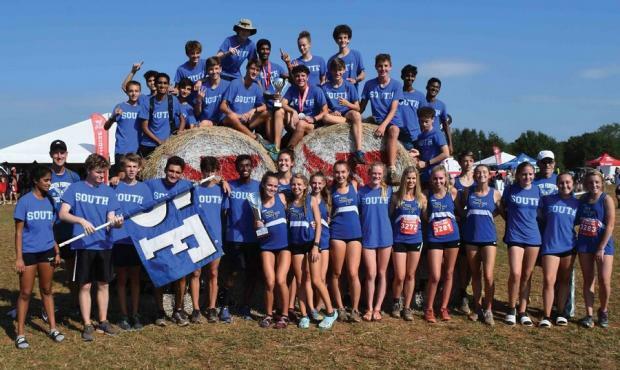 Boys: In one of the best races of the weekend, 4 ranked 7A squads including #1 South Forsyth threwdown at Boling Park. South' emerged victorious by 4 points over #5 West Forsyth. Michael Patterson led the way for South' taking overall runnerup going 16:03. Jeremy Ericson led West' placing 6th at 16:12. U of Dayton commit Calan Gizelbach of Central Forsyth was Overall champ posting a 15:40 .. Milton and Lambert came down to a 6th runner tiebreak with Milton taking the nod for 3rd as team, with Lambert 4th. Teams Qualifying for State: South Forsyth, West Forsyth, Milton, Lambert, Walton and Roswell. Teams Qualifying for State: South Forsyth, Walton, Milton, West Forsyth, Roswell and Etowah. Teams Qualifying for State: McIntosh, Starr's Mill, Whitewater and Fayette County. Harrison's young squad celebrates defending their Region title. 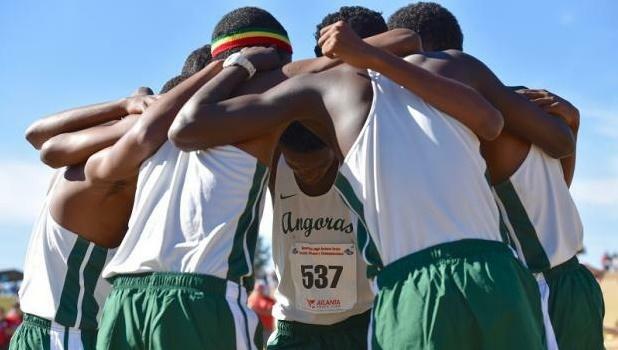 Boys: The #3 Hoyas enjoyed an easy win in their region scoring 25 points placing 5 runners in the top 8 spots. Soph Sully Shelton continued to have a great season winning Individual honors going 15:48, team mate Noah Connelly placed 3rd in 16:28. Allatoona punched their ticket for State taking 2nd as a team. The Bucs' pack running was key having a 1-5 Split of :24 Blake Morgan in 11th and Paul Ratliff 12th led the raid. Jonah Brown led Creekview to a state berth placing 5th at 16:45. Bradshaw Lathbury was key in Sequoyah securing the final team slot with a 4th place effort of 16:31. Lance Sotelo of Dalton Q'd as individual taking 2nd overall in 16:18. Boys: #2 Marist warmed up for State taking the team on the Double Dip course, winning the boys side of things scoring 31 points. 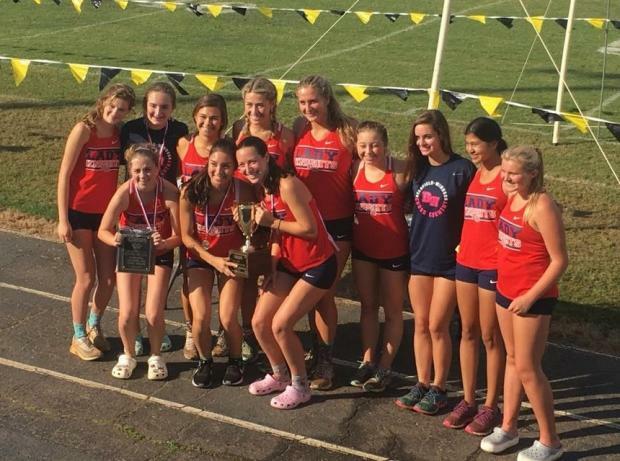 The War Eagles' top 5 were all top 10 finishers. 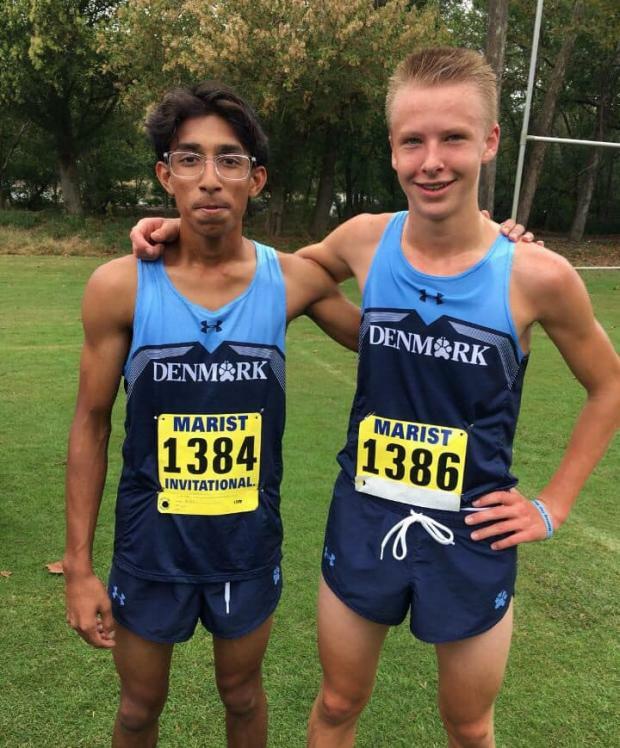 Leif Andersen won the overall honors in 16:31, but he had some company down the stretch including: Collin Kilgore of Flowery Branch 2nd (16:33), Karthik Kochuparambil of new school Denmark 3rd (16:38), Jaylen Mallett of Marist 4th (16:40) and Ethan Ashley of Denmark 5th (16:40) #3 Blessed Trinity took the 2nd team slot running as a pack in positions from 11-17. White County and Flowery Branch were 3rd/4th as teams, and sadly, new school Denmark missed Q' by 1 point..but Kochuparambil and Ashley Q'd as individuals! 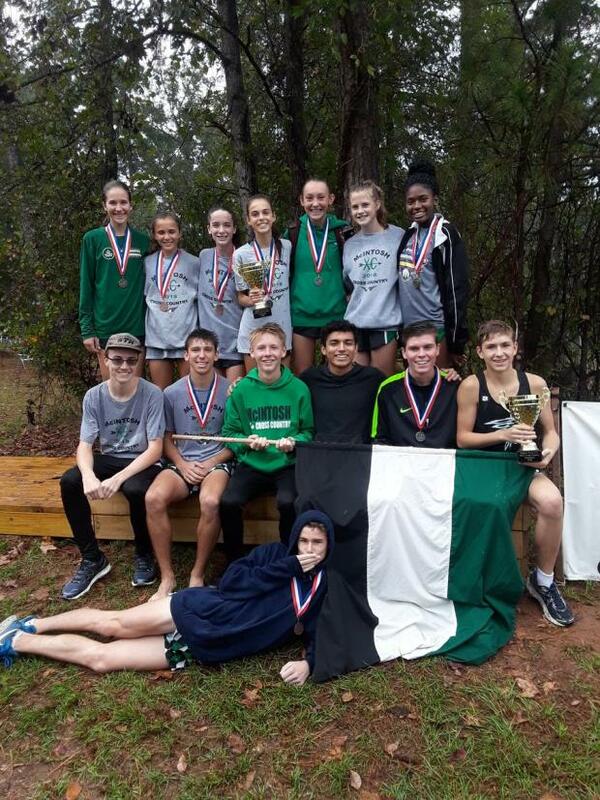 Boys: Ola has been a ranked 5A squad about half the season in the #9-10 spots, but the Stangs' brought it this past Saturday at Locust Grove HS taking the team title in a hotly contested team battle. 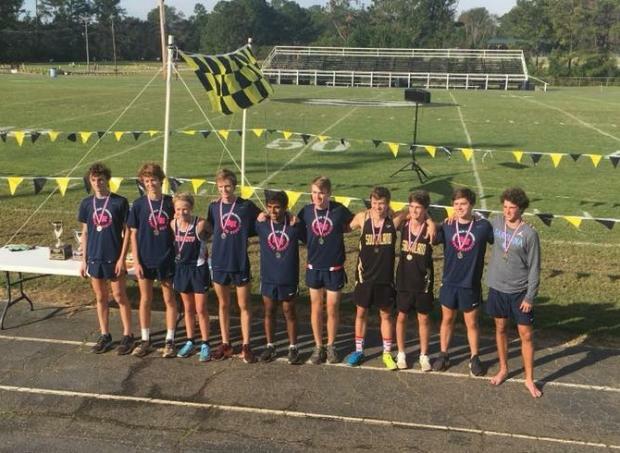 Leading Ola to the winners' circle were Seniors Parker Campbell placing 5th (17:48) and Peter Nelson-Broderick 6th (17:51) #9 Union Grove was a scant 3 points back at 2nd. 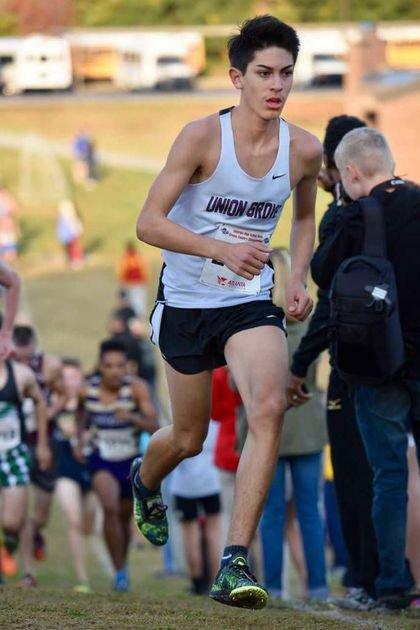 Domonic Macias (a top runner in 5A) took the Overall honors going 16:36 for the Wolverines. 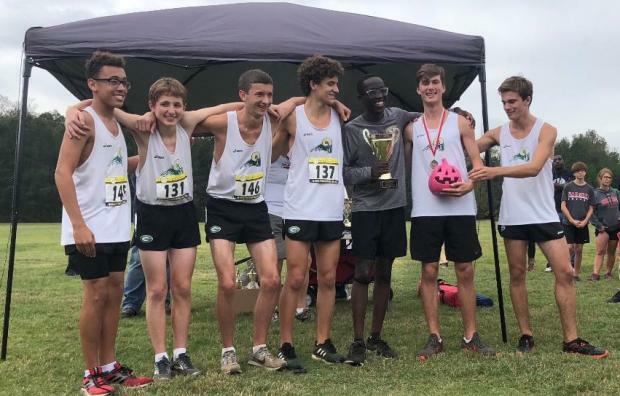 Antaures Jackson of Eagle's Landing led the Golden Eagles to 3rd place taking overall runnerup at 16:49, with team mate Leroy Russell 3rd (17:19) Locust Grove used their home course advantage to cash in on 4th as a team edging Jones County by 4 points. 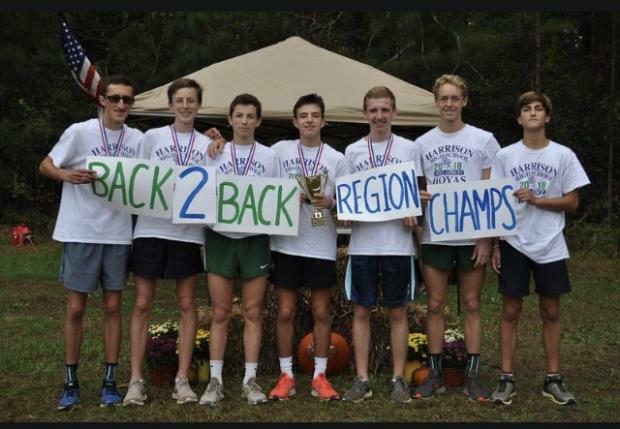 Boys: In a region of 8 schools, only 4 of them managed to produce a team score, making it one of the easier regions to Q' for State in XC. Clarkston has been a media darling the past few years, and have had wild swings in the 5A rankings this Fall. The #6 Angoras swept the top 4 spots scoring 19 points. Leading the way were running in tandem were Piyo Micheale crossing 1st in 17:02.0 and Thaddee Barge 2nd a step back in 17:40.Bennett Solomon led Chamblee to a 2nd place finish taking 5th overall at 17:43. Girls: Emoni Coleman of Miller Grove won the Overall honors posting a 21:42. Again, 4 schools produced team scores for this region with an actual race going on between Chamblee and SW DeKalb. Chamblee emerged victorious by 7 points, led by Hattie Carter's 5th place finish of 23:46. 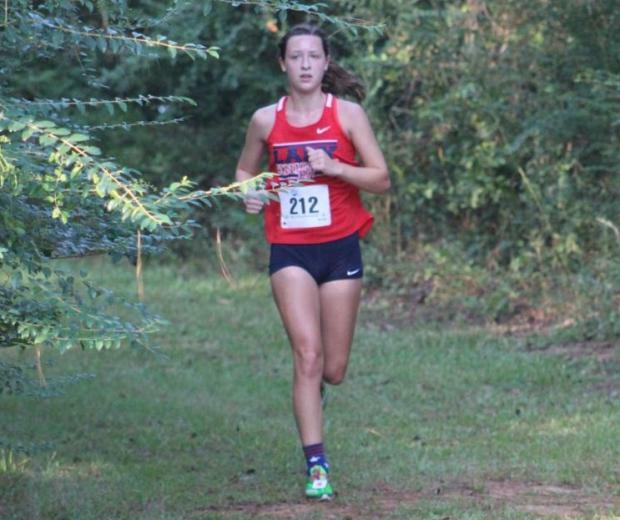 SW DeKalb's top runner was individual runnerup Lanee Edwards in 22:54. Boys: This race was held at the 'Lovejoy Soccer Complex' so this course may not be legit, but might be.. Demetrius Carson of MLK was the overall champ in 17:15. Tucker won the team title with an 18:07 avg led by Yesahk Ergano's runnerup finish of 17:19 (both interesting looking at stats), MLK was 5 points back in 2nd (18:14 avg) led by Carson's win, Morrow was 3rd and Forest Park 4th. Boys: Deerfield-Windsor 'perfect scored' the race with 15 points. 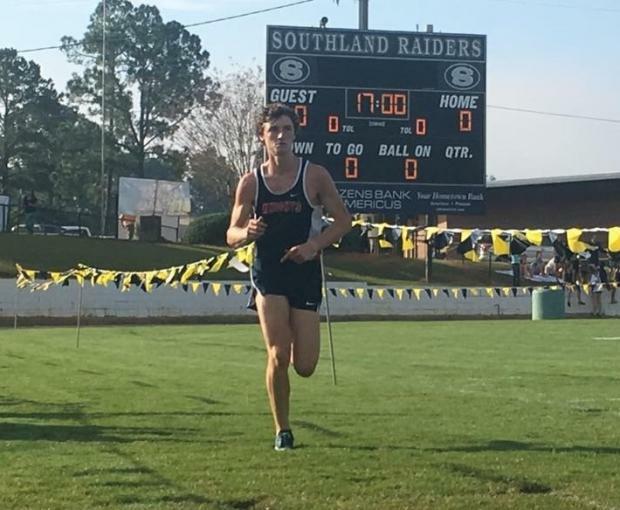 Leading the Knights to the win was the one of GISA's top runners this Fall, as Porter Hill clocked a swift 17:03 in Americus. 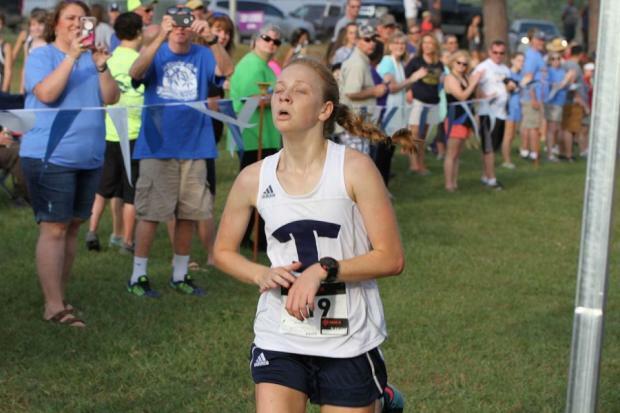 Tift Area edged Southland for 2nd, with my old HS sports nemesis Brookwood (Thomasville) 4th. 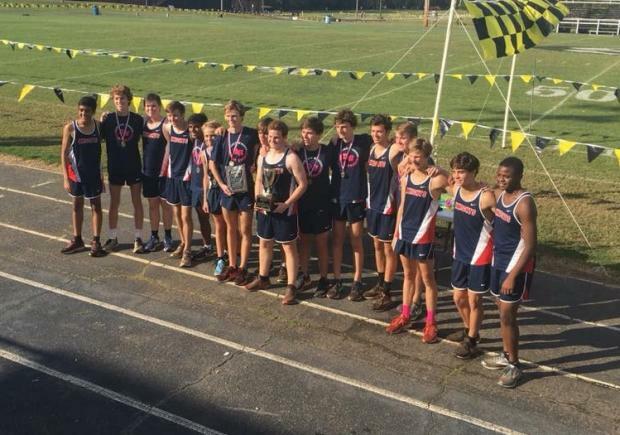 Boys: Coach (Scott's) Monsignor Donovan's boys squad raced to victory down at Brentwood Academy. The Rams' placed 5 runners in the top 11 spots to secure the win. Will Auslander gored the field enroute to a winning time of 17:33. Briarwood placed 2nd, Brentwood 3rd and Gatewood 4th teamwise. Girls: Brentwood won the team title led by Lauren Hood's runnerup finish at 22:18. 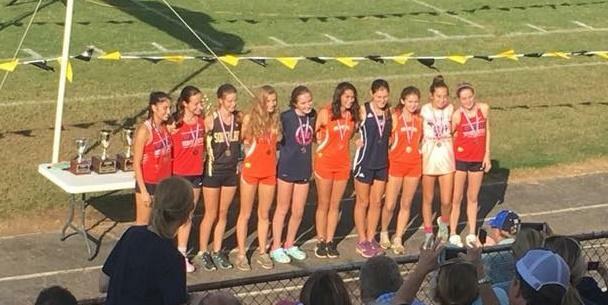 Monsignor Donovan placed 2nd as a team led by Omeka Bhatia as she was the the Overall champ going 21:13. Briarwood placed 3rd as a team Q' for State. Boys: This meet was held at 'The Farm House' down in Camilla, and did not seem short per stats. 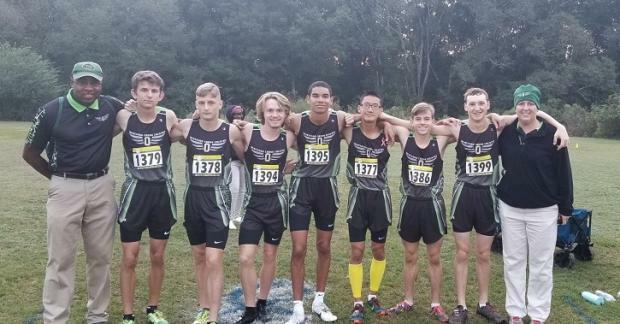 #9 Seminole County came away with the team title placing 3 runners in the top 6 spots led by Larry King's runnerup effort of 19:57. Baconton Charter's Jaquez Jones won the Overall title leading the Blazers' to 2nd as a team. Pelham and Terrell County were 3rd and 4th as teams. 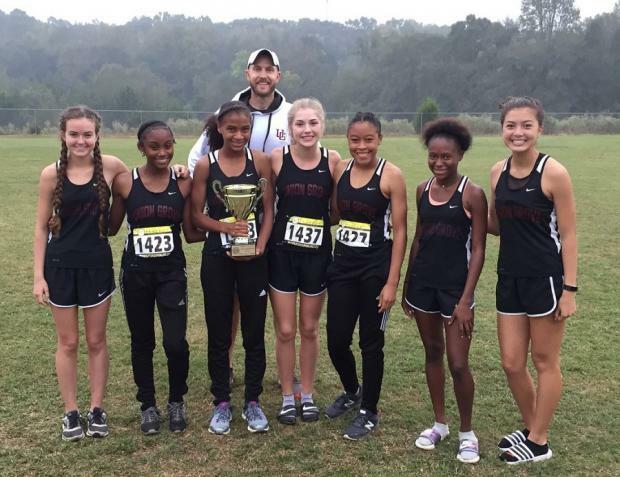 Girls: Only 2 schools managed to have team scores in yet a very tight race as Pelham won the region title by 2 points over Baconton Charter. 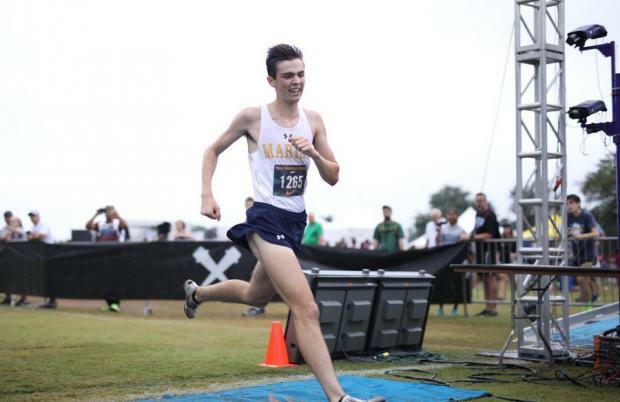 Tabb Masey of Seminole County easily won the Overall title going 24:01.